AUSTIN – State Senator Donna Campbell appeared with public charter school parents, who presented thousands of letters in support of increased facility funding for charter schools, at a press conference at the Capitol on Tuesday. The press conference highlighted Senate Bill 457 and the fact that public charter schools don’t currently receive any facility funding from the state. Currently, public charter schools receive $0.00 in direct state funds for facilities while their traditional public school counter parts receive nearly $1,400 a year per student. As a result, public charter schools must utilize their maintenance and operations funds, which are intended for classroom instruction, to cover the costs of both operations and facilities. The press conference was also attended by Representatives Bohac, Dutton, and Simmons, who have filed companion legislation in the Texas House. 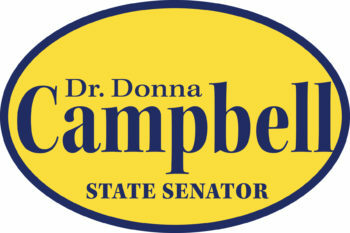 State Senator Donna Campbell chairs the Veteran Affairs and Border Security Committee and is a member of the Education Committee.